So, I've got some pretty exciting news... I'm not watching the Superbowl. Ok, 1) that's a lie and 2) that's not the big news. The big news is... I'm now accepting sponsors! Do you want to advertise your blog? How about your store? Well, email me, fashionablecollections@gmail.com, and we can discuss rates and get an ad up on my site asap! Want to hear the stats? Check out my new sponsor page on the top of the blog. Ok, enough chit chat, down to the important stuff... J. Crew makes the best ballet flats. Not only do they make the best, but they come in every color under the rainbow. Great investment? That's a yes. 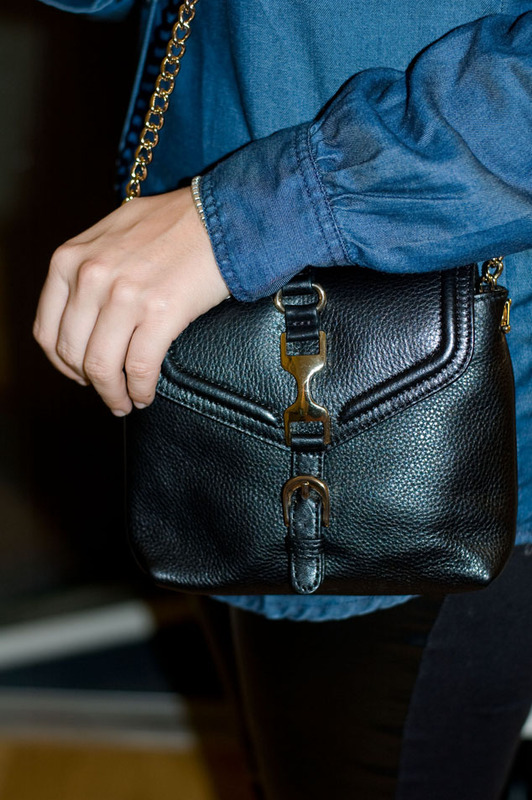 Do you love Shopbop? OMG me too! Guess what? I can give you a 100 dollars there for free... check it out. Love that look, i am obsessed with shirts like that! I love that shirt, it's so cute! I really want one similar to it, just gotta find the right one! Love that blouse! And your handbag is perfect as well. Such a super cute outfit! I ADORE J.Crew's flats, seriously I love that it comes in every color. I'm really looking forward to Spring so I can buy a bunch of them. nice blouse. the style looks great on you. such a cool top! and love the color of the shoes! love the top and bag!! Oh I love the cut out shoulders shirt! 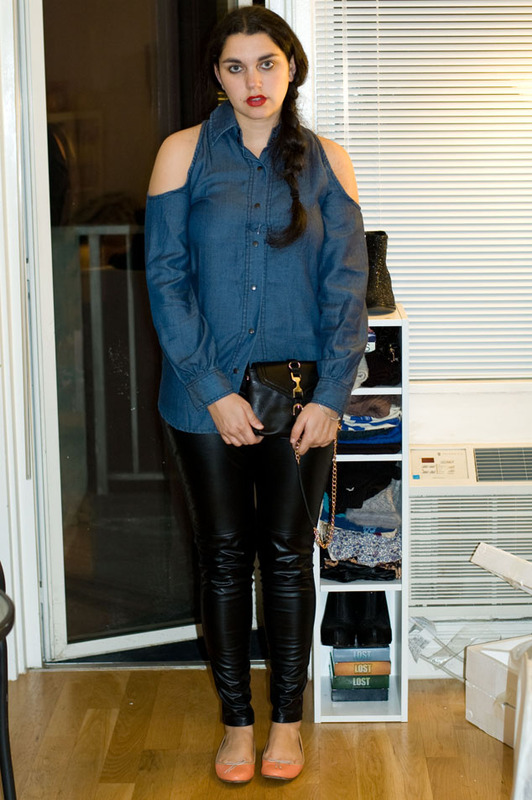 Denim and leather are a perfect marriage! 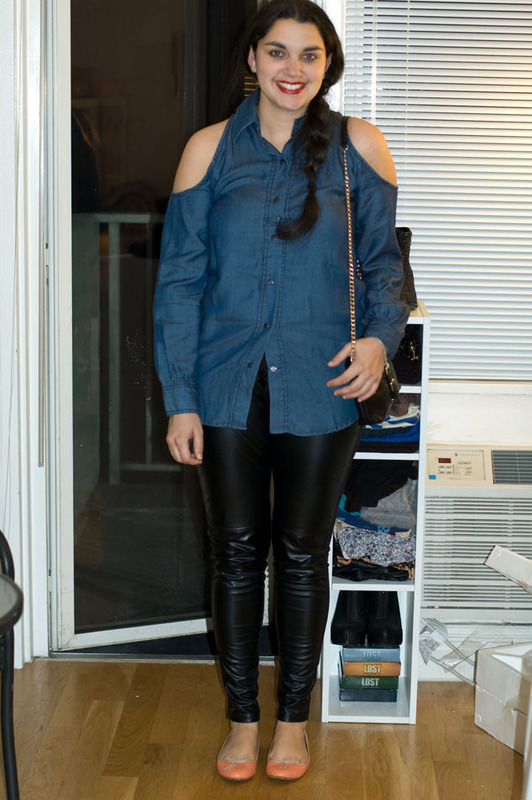 Love the peekaboo shoulders on the blouse and it's perfect with those skinnies!! love that bag!! so so pretty! Would love to hear what you think of my latest post today! I love that shirt!! So different... and, it looks so good with those pants. So pretty! Love the cut outs! Your LEGGINGS! Ah those are so cool I wish I could pull them off. 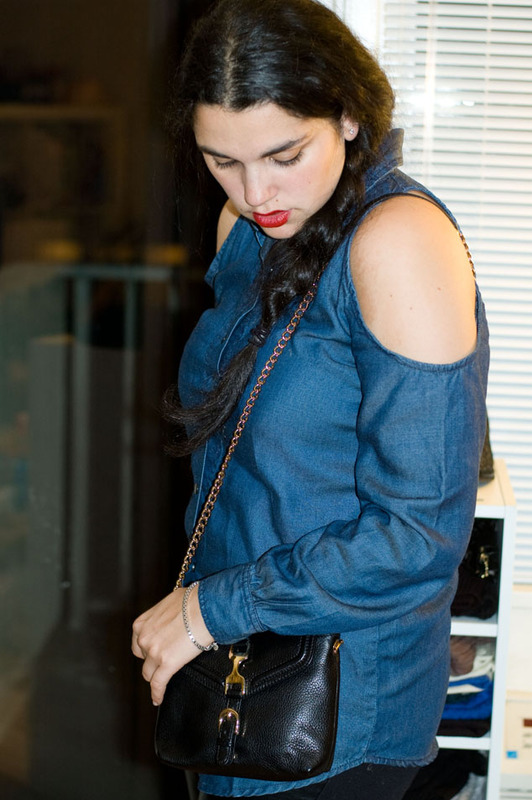 Love them with the denim top too! !